My journey with Roseanne started many years ago when I discovered a family going through some of the same struggles as my own. I grew up in rural Arkansas to a drug-addicted father and with little to no money. As a young adult, on Roseanne I finally saw someone my family could relate to. But unlike my family, the Conners were accepting and tolerant, and to me that’s what made them special. It wasn’t until I moved out on my own that I discovered the rest of the country really does ignore — or doesn’t care to understand — a more rural ideology. While I don’t accept or agree with 95% of the Deep South, I feel like we need to come to terms and acknowledge the struggle felt by these Americans before we can grasp what’s really going on with our country. 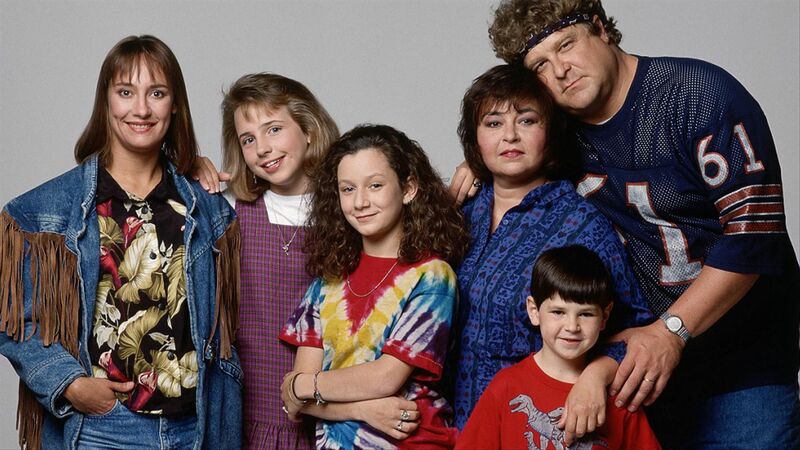 Leaving home at 18 and moving to Chicago for college, my mind expanded beyond my upbringing; it wasn’t until that realization I finally understood fully the message of Roseanne. I would dive into Roseanne’s now-removed message boards and talk to fans about show theories, and I even got a chance to speak with Roseanne herself. I told her about my childhood and how seeing her family be so open and tolerant really showed me that things could and would get better. My understanding of Roseanne Barr’s brain seemed complete. I would repost her blogs on liberal politics in the notes section of my Facebook during the 2008 election, during which she was firmly in for Hillary Clinton. I felt like I knew her, like I knew for certain her stance on almost anything … until now. I have considered myself since high school to be an extreme liberal in every sense of the word. In high school I railed against my family who sided with war criminal George Bush. I fought against prayer in the classroom when I thought that went too far in my small town. I knew I was fighting for the good side — you know, the things Roseanne had taught me when I was growing up. Fast forward to 2016 and the tweet storm begins. After so many years of looking up to Roseanne Barr and feeling such a comfort with her being my second mom, she went off the deep end. The last election was difficult and divisive, and in my home of Arkansas I felt as though I lost family members. But I was not prepared to lose Roseanne. I tried to ignore the tweets and really wrap my head around what she was trying to say. Something in me would not let this go. I would read and watch interviews late into the night, trying to understand the complete reversal of so many bedrock ideas. How could this be? How did this happen? Roseanne, my latchkey mother for so many years, had turned to Trumpism. Later that year I discovered more about her platform in an attempt to comfort myself — or at least understand. It seemed Roseanne Barr wasn’t really interested in Trump himself but a dismantling of the government. Now, that doesn’t give me comfort at all, but it helps me to understand her more. Roseanne Barr oddly praises Trump on some of his platforms, but when faced with questions of social issues remains firm in her progressive stance. She will always support gay rights and a woman’s right to choose, but why did she switch political parties? I have since come to terms with her, understanding that in these changing times we have to let go of icons who can’t adapt. I will not, however, let go of Roseanne Conner. 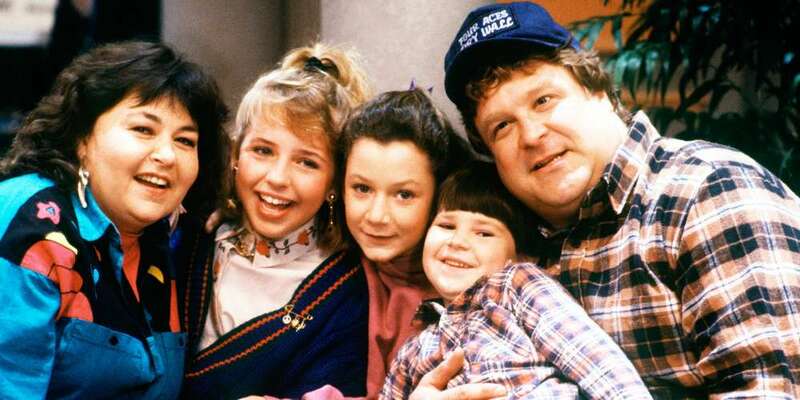 Last year when I heard the Roseanne reboot would be happening, I obsessively watched every interview with Laurie Metcalf (“Aunt Jackie”), John Goodman (“Dan Conner”) and Sara Gilbert (“Darlene”). I wanted to know what the show would look like. At this point everyone knew Roseanne Barr had gone mad on social media, now a sounding board of the far right. How would the rest of the cast deal with this new Roseanne Barr? I quickly found the main website for television ticking and refreshed it for days, then weeks. Finally, one day last October, I scored tickets. I instantly signed up to attend five tapings over the next three months. Arriving onto the set of Roseanne was a truly breathtaking experience. Seeing the Conner house brought back to life was incredible. I had always dreamed of seeing the living room with my own eyes, and it was happening. I arrived to the taping of Episode 3, with other audience members filling me in on what had happened to the Conners over the past 20 years. It was a thrill to see the entire cast back on its game and returning to character. The first few tapings made us laugh until we cried. It was back to basics for the Conners. After witnessing the interworking of this new reboot season — which so few people have thus far had the privilege to do — I was struck by a sense of nostalgia that no other reboot has given me. 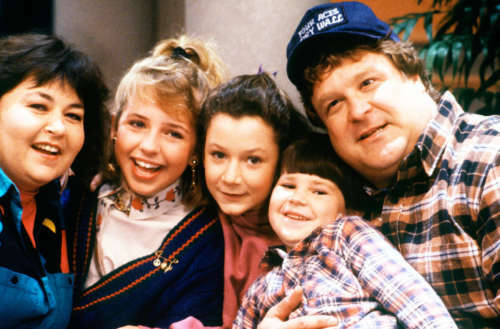 This 10th season of Roseanne is, at its core, still about the lovable, problematic Conner family I grew to love in the ’90s. I was pleased to see that with writers including Wanda Sykes, Whitney Cummings and original writer of the show Tom Werner, Roseanne Barr’s Trumpisim is tepid. The show at its best moments feels like Season 3 and 4 — the best of the bunch, in my opinion, and the few seasons in which cast members actually won Emmys. The reboot lands exactly where it’s supposed to — dangerously in the middle (class) to let the viewer decide how to feel and what to believe. Anyone who thinks they’ll miss Roseanne Conner doling out solid advice shouldn’t worry — that character is still there. We also see an expanded cast of characters: DJ Conner married the African-American girl he hesitated to kiss in grade school, and we meet his daughter, Mary, as well as Darlene’s two children. The most interesting part of the show is its newfound diversity, in contrast to its previous run called out plenty of times for a lack of diversity and color. Darlene’s son Mark is gender-nonbinary and wears girls’ clothing. I recently explained this to a friend who was giving me a hard time for supporting a show like this. But I believe if Roseanne Barr’s radical personal beliefs get a conservative to see her embrace an African-American granddaughter and gender-nonconforming grandson, so be it. The show’s major arc is about health care and the state of the nation through the eyes of a very real family with very mixed feelings on what is happening. The show doesn’t lack in heart or realness. We revisit all of the show’s main characters from its original run to see how they have adjusted, and it couldn’t be better. 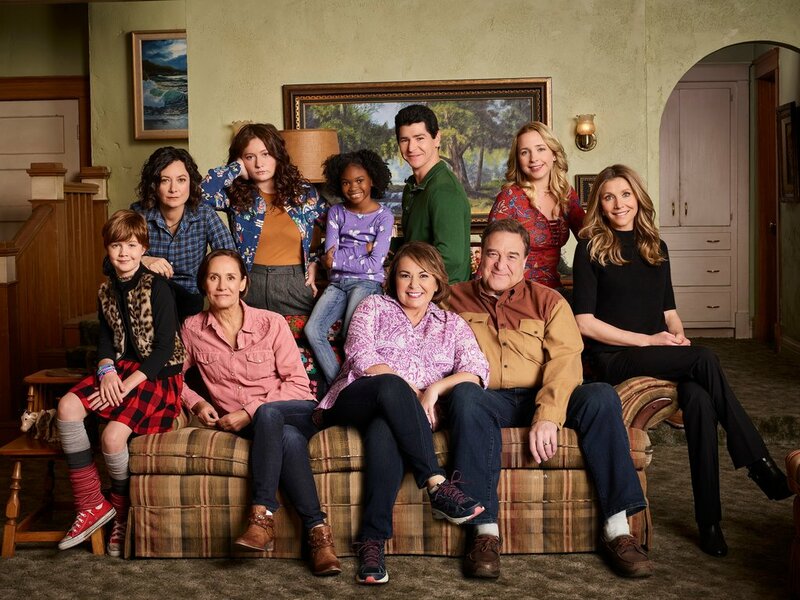 The Roseanne reboot will get blowback from a few moments that intertwine Roseanne’s conservatism with liberal commentary, but overall the Conners have returned to steal our hearts and be a reflection of some of the biggest issues our country needs to address. If you loved Roseanne before, be prepared to love it even more.